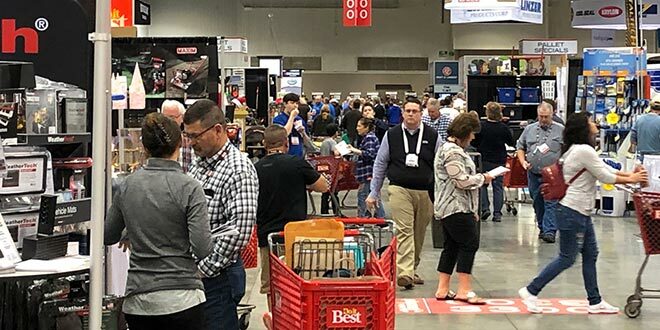 Independent home improvement retailers flooding the floor of the 2018 Do it Best Fall Market found the programs and retail solutions that are critical for helping them develop specific categories. 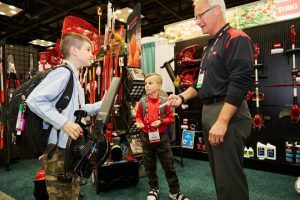 The market, held Oct. 12-15 at the Indiana Convention Center in Indianapolis, capped a fiscal year that included a healthy bottom line for the company and growth in its member base. At the 2018 Do it Best Spring Market, the co-op introduced several new category initiatives, including the Color Bar paint program and the Connected Home assortment for selling smart home products. At the fall market, the focus was on helping member-owners expand those programs and integrate them into their stores. Vincent and Anthony Christofora from Woodstock Hardware in Woodstock, New York, used the market to check out new products to add to their outdoor power equipment department. Vince and Diane Christofora from Woodstock Hardware in Woodstock, New York, were at the market with their two sons, Anthony and Vincent. 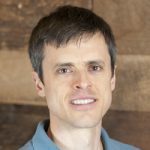 Even at 7 and 9 years old, respectively, the two young retailers were market veterans who had a sense for the categories they needed to cover at the market. Paint has been another area Do it Best emphasized. With the debut of the Color Bar paint program last year, retailers have a way to make that category a destination while increasing their customer base. In addition to its central paint program, Do it Best also offered a wide range of sundries, enhanced by its recent partnership with Paint Sundries Solutions. Keith Conner, from Heartland Building Center in Hays, Kansas, was a first-time attendee to the market. Another way more and more Do it Best retailers are experiencing growth is through acquisition of other businesses. John Finch, of Meuser Lumber Company in Guttenberg, Iowa, has traditionally run a lumber business, but recently purchased a hardware store from a retailer who did business with another wholesaler. He’s been using his co-op’s programs in the conversion process. In addition to creating category solutions for its customers, perfecting its distribution model has been an ongoing priority for Do it Best. Lately the co-op has made several improvements to its distribution system, such as doing more backhauls (reducing the number of times a driver travels home from a delivery with an empty trailer) and instituting OWL deliveries (orders delivered at night, saving retailers the labor needed to unload the truck and giving Do it Best a better use of its fleet). The company has also implemented a new transportation management system which will allow it to reduce the time drivers spend on the road by approximately one million miles per year. “All of these changes have given us more control over our movement of goods and in turn allows us to better serve our members,” says Markley. Another topic hot on the minds of many retailers has been the tariffs and how they will impact the cost of goods. While the full implementation of the tariffs and their ultimate effect on the price of goods on the shelf are yet to be known, Markley says Do it Best is focusing on ways to prepare. At the fall market, for example, retailers will be able to purchase several items at pre-tariff pricing. The market weekend also held many opportunities for retailers to network and gain insights into the industry. Friday’s Education Day offered dozens of free training sessions delivered by subject matter experts. The Power Preview offered an exclusive first look at the latest in outdoor power equipment, outdoor cooking and backyard lifestyle products. Retailers attending the LBM Industry Update gathered information on the best LBM purchasing strategies and market deals. At the Friday afternoon Market Kickoff event, company leaders shared the co-op’s vision for enhancing store performance. Retailers also got a special treat in a keynote address from entrepreneur Johnny Cupcakes, who shared the unconventional and inspiring insights he used to help take his business nationwide. Sunday evening, at the annual Shareholders’ Meeting, Do it Best marked the 15th consecutive year member rebates exceeded $100 million. Six members received rebates above $1 million each and one member earned a rebate in excess of $2.6 million.